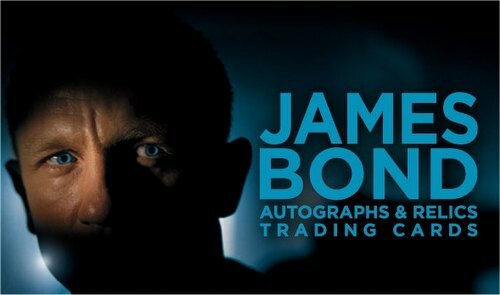 Non-Sport > James Bond > James Bond: 2013 Autographs & Relics Binder Cs. Each James Bond 2013 Autographs and Relics binder case includes 4 binders. Each binder is custom-designed to store the entire collection and includes a bonus promo card.